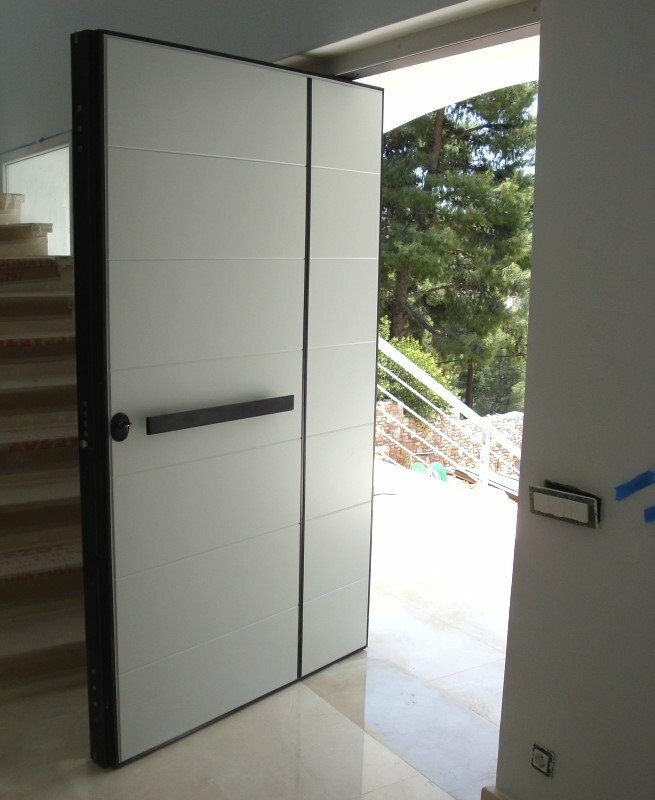 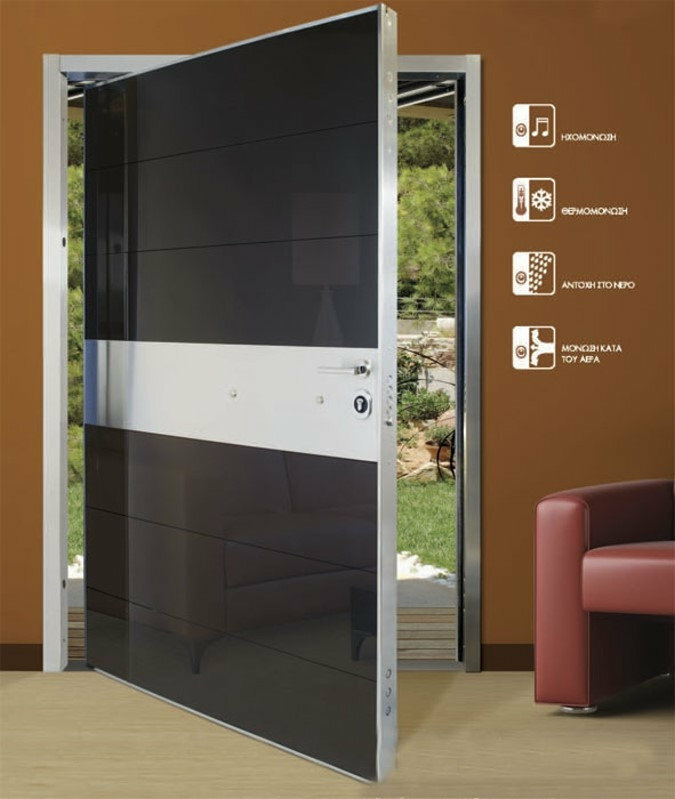 PIVOT series has the ability to be constructed on a door for large continuous openings up to 2m width and 3m height , without hinges. 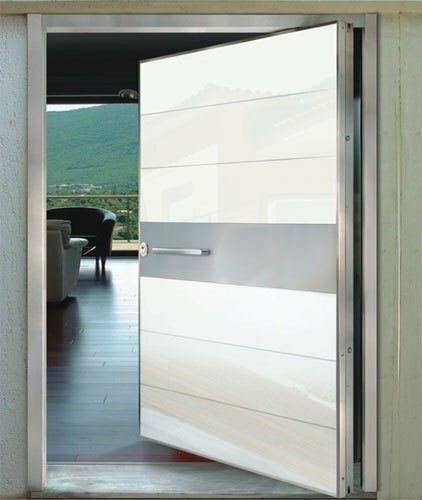 New series pivot TEKNA, a completely innovative product with a significant flexibility in combining different materials such as stainless steel (inox), securit glass, aluminium,solid wood iroko or cedar, mirror, natural wood and ecological lacquer. 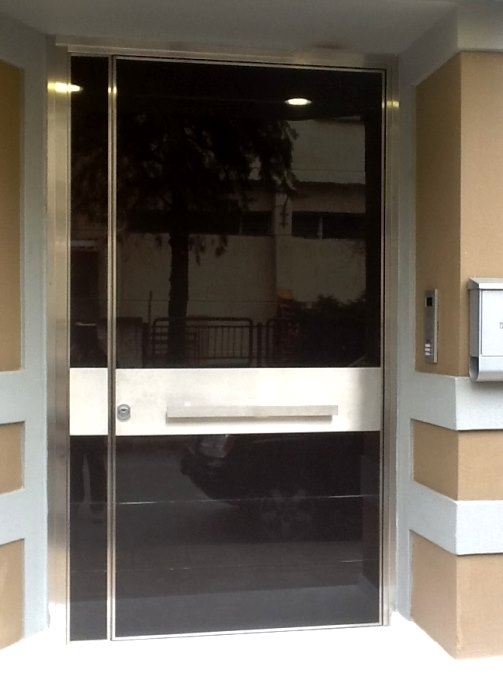 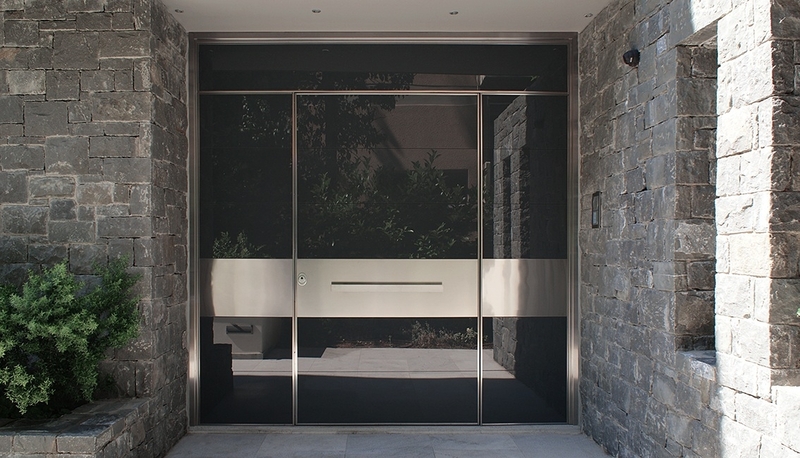 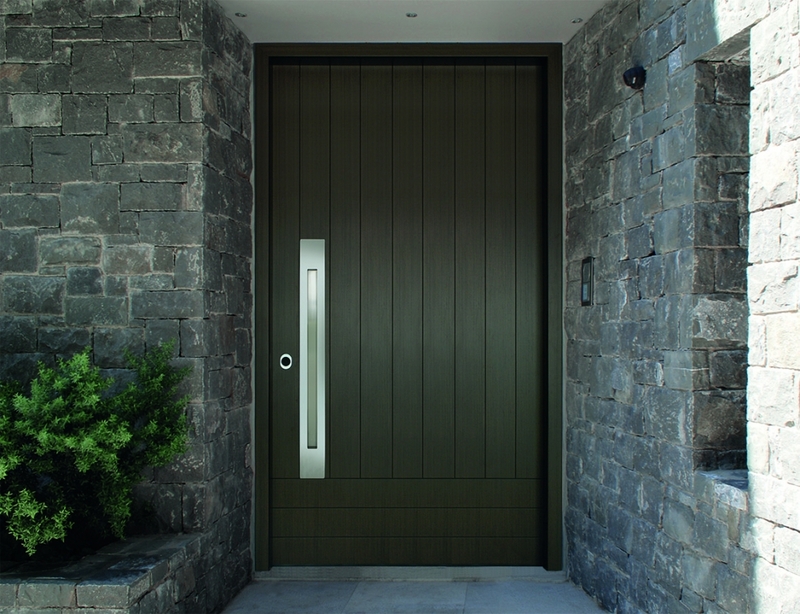 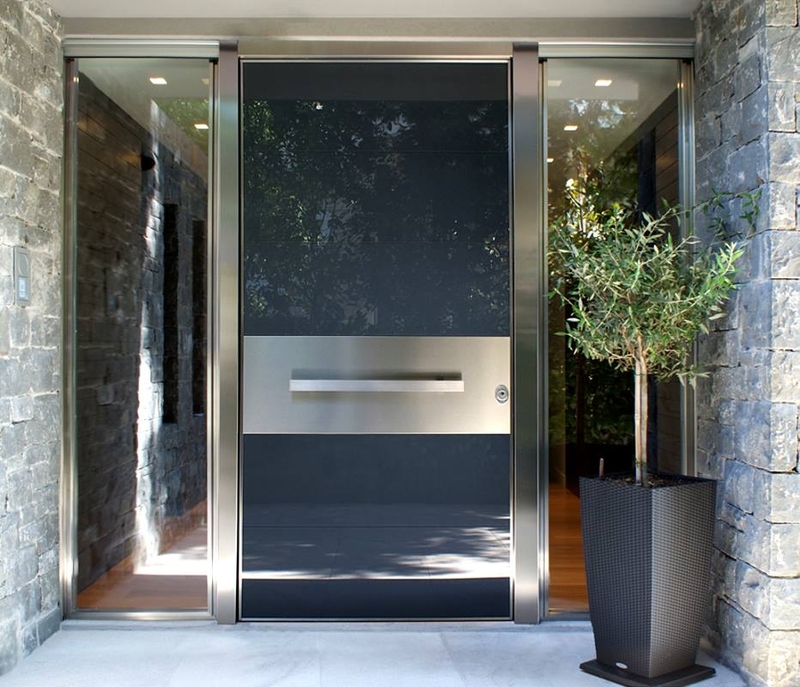 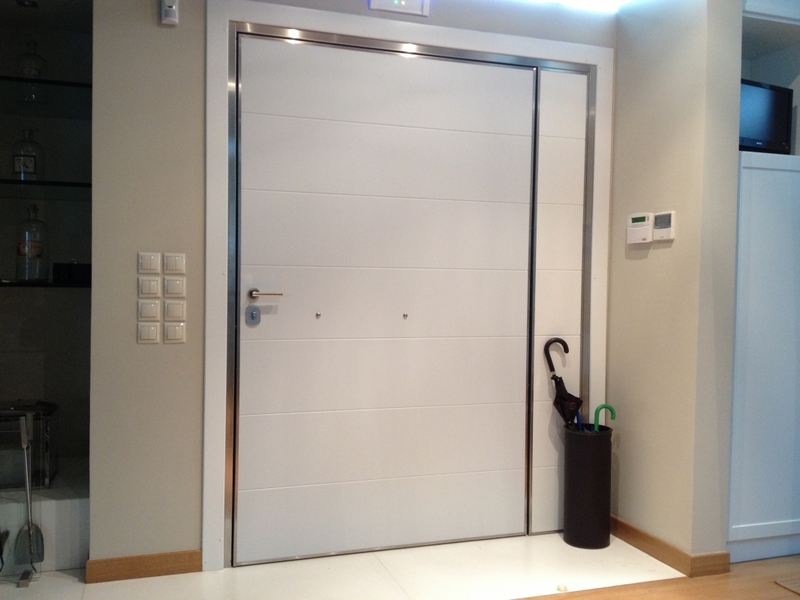 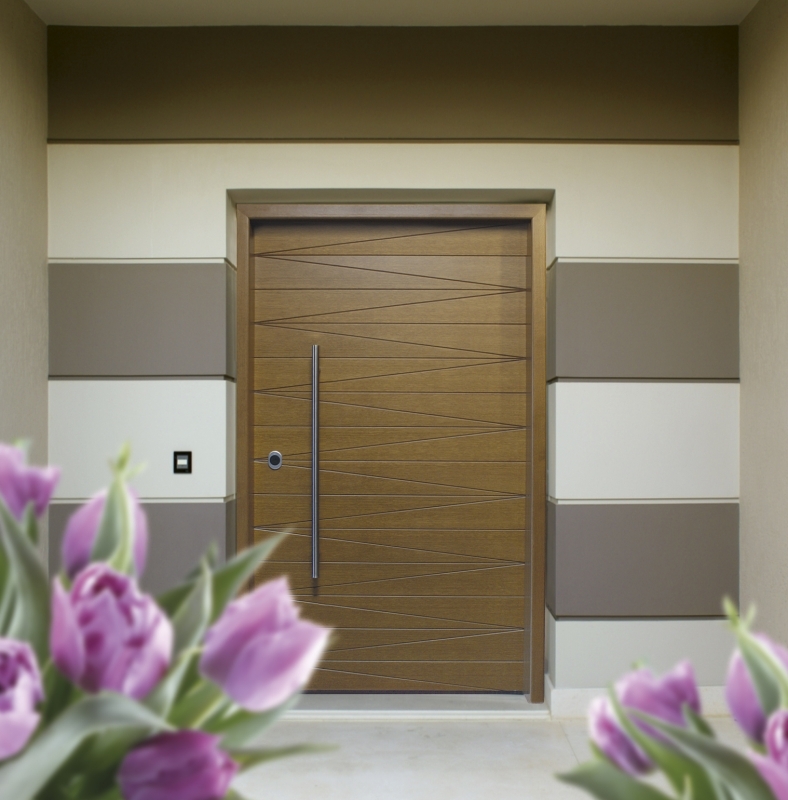 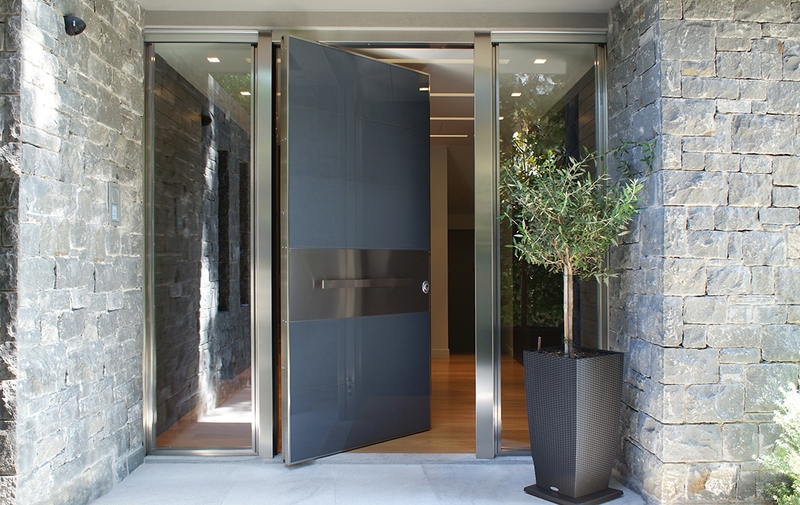 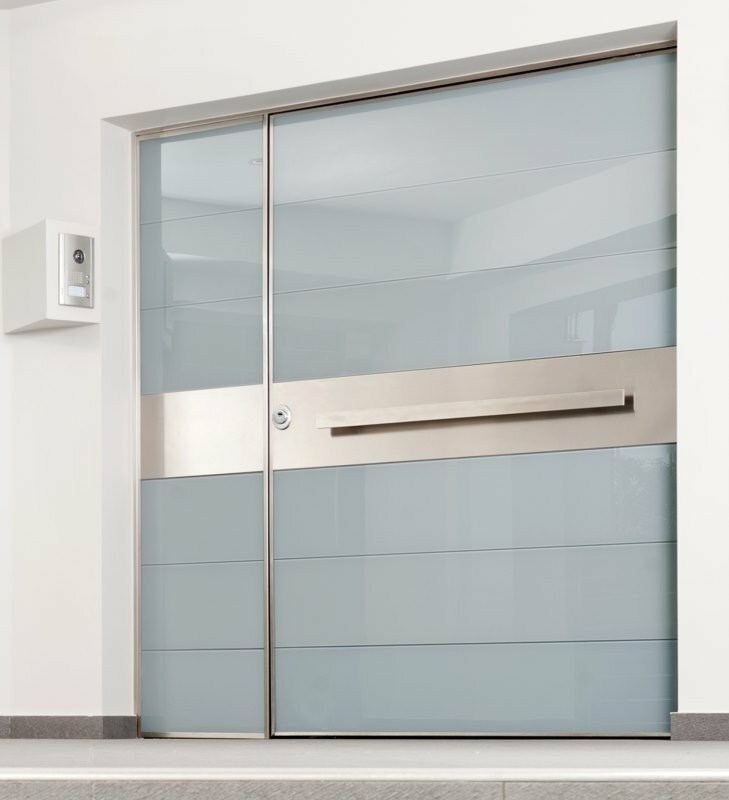 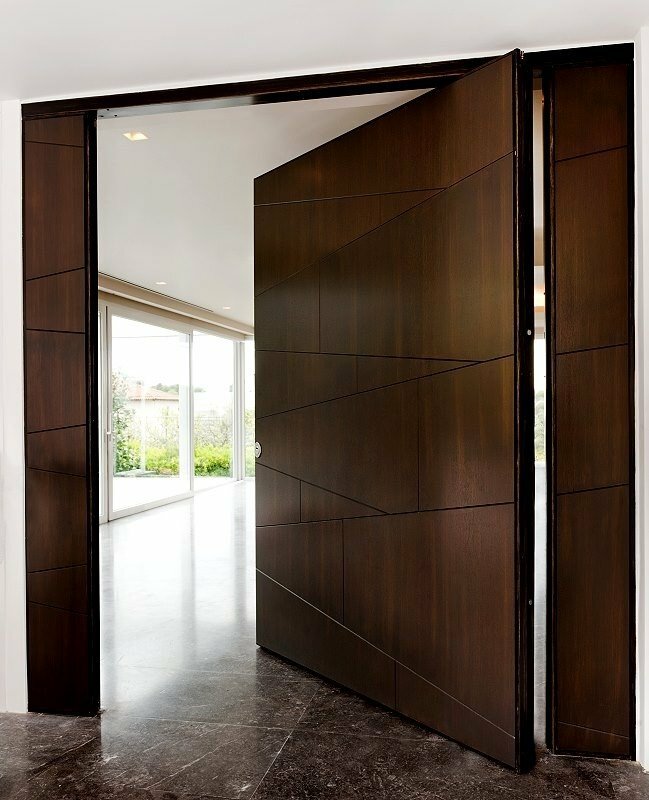 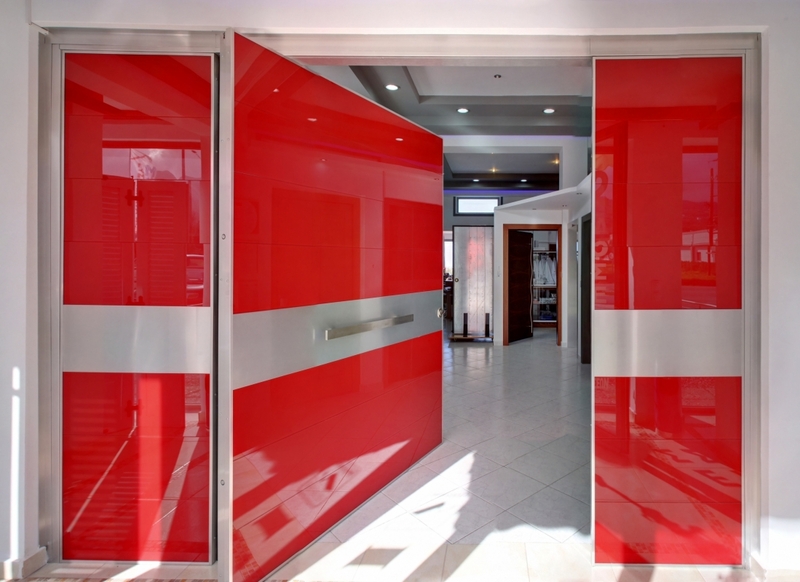 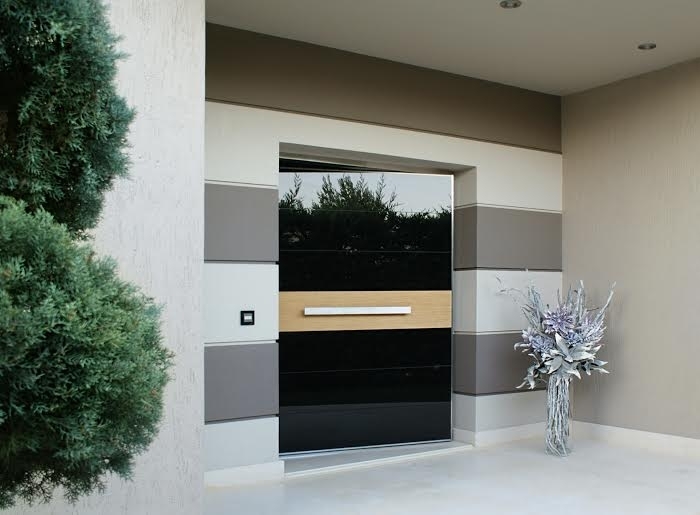 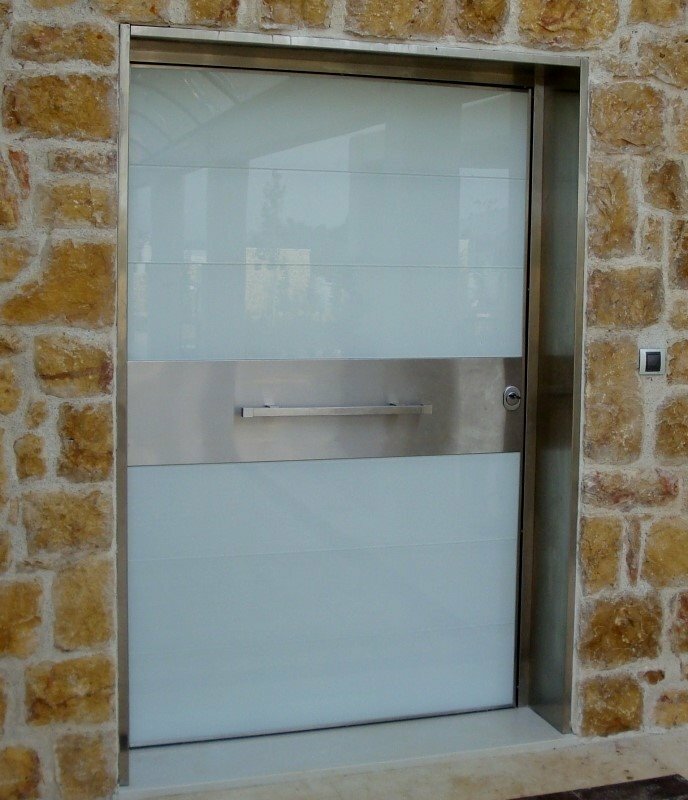 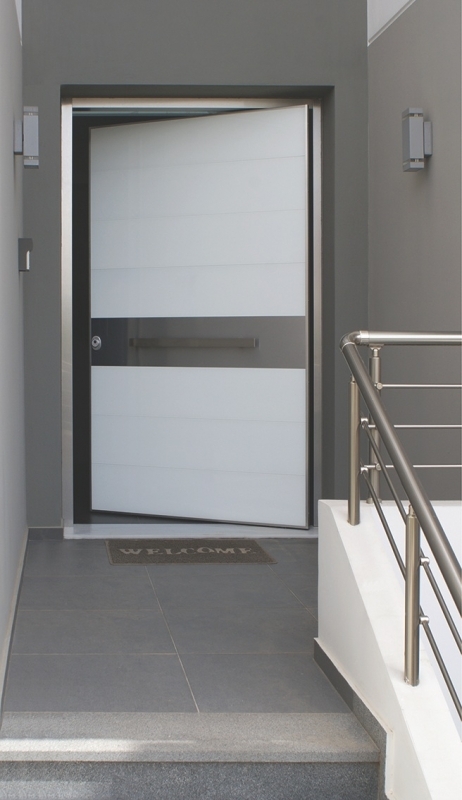 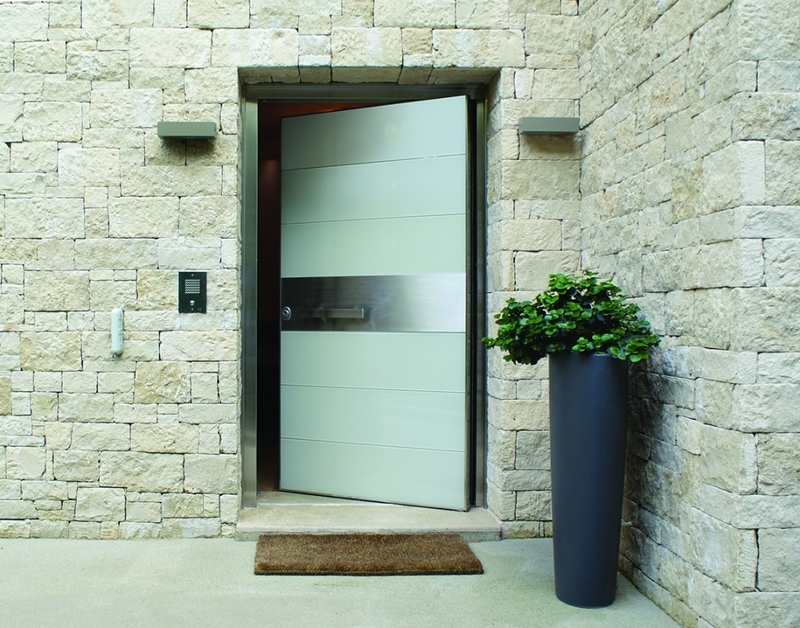 Materials such as securit glass , aluminium and stainlness steel, offer us the ability to use them for the construction of entrance doors, exposed to the exterior environmental conditions.